New research shows it helps build them up. The common wisdom in weight-building circles is to have a protein supplement after your workout. It is believed to increase your muscle mass. New research is showing that having that protein shake is good for your bone recovery too! Under normal conditions, bone indicator for resorption and formation are tightly coupled to each other, so that the amount of bone removed is always equal to the amount of newly formed bone. Bone turnover indicators are physiologically elevated during childhood, growth, and fracture healing. The elevations in bone resorption markers and bone formation markers are typically balanced in these circumstances. By contrast, bone turnover markers may be useful when the bone remodeling process is unbalanced. 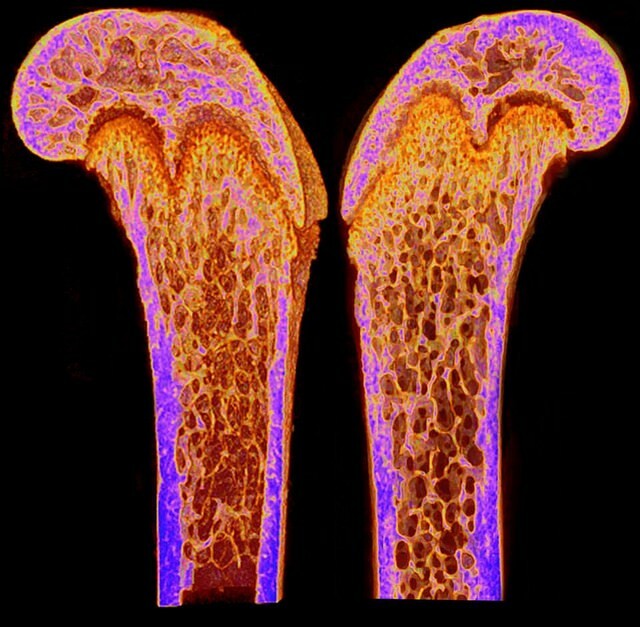 Abnormalities in the process of bone remodeling can result in changes in skeletal mass and shape. β-CTX: C-terminal telopeptide of type 1 collagen as a marker for bone resorption. delayed feeding (DF), PLA was ingested immediately post-exercise and CHO+PRO solution 2 h post-exercise. At 1 and 2 h post-exercise, β-CTX concentrations were lower in the IF trial than the DF and PLA trials. At 3 h post-exercise, β-CTX concentrations were higher in the PLA trial than the IF and DF trials. At 4 h post-exercise, β-CTX concentrations were lower in the DF trial than the IF and PLA trials. P1NP was also higher in the IF trial than in DF and PLA trials. The researchers concluded that following exhaustive running, immediate ingestion of CHO+PRO may be beneficial, as it decreases bone resorption marker concentrations and increases bone formation marker concentrations; creating a more positive bone turnover balance. In other words, having a good quality protein drink after the stress of exercise is good for your bone reconstruction. Originally published at dralanviau.com on February 7, 2017.